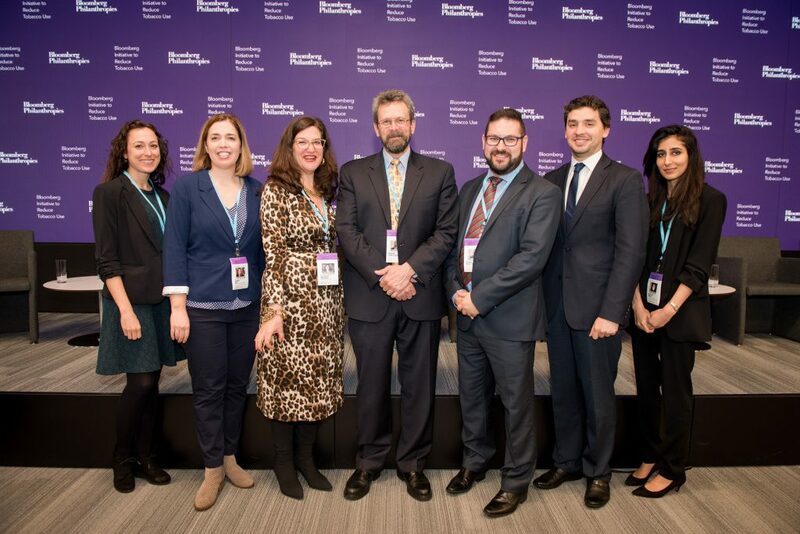 The members of the UIC team at Bloomberg Philanthropies in New York, February 2017. A group of global tax policy experts led by Dr. Frank J. Chaloupka, director of the Health Policy Center at the University of Illinois at Chicago’s (UIC) Institute for Health Research and Policy, joins six other global health organizations as a core member of the Bloomberg Initiative to Reduce Tobacco Use. Chaloupka’s team will build the capacity of local think tanks to provide evidence-based policy support for effective tobacco tax policies in the highest tobacco-using low- and middle-income countries around the world. The Bloomberg Philanthropies initiative’s main goals are to curb tobacco use and raise awareness of the harms caused by tobacco, particularly in low- and middle-income countries. Over the past ten years, the core partners have supported 59 countries in passing tobacco control laws or policies, reaching nearly 3.5 billion people and saving an estimated 30 million lives. Despite recent declines in tobacco sales, tobacco use remains “one of the greatest threats our society faces,” according to WHO Director-General Margaret Chan. In December 2016, Bloomberg Philanthropies strengthened their commitment to advancing effective global tobacco control policies by dedicating another $360 million to the Bloomberg Initiative to Reduce Tobacco Use, raising Bloomberg’s total support for this public health initiative to nearly $1 billion. The new partnership with UIC is a key part of this renewed commitment. To learn more about Dr. Chaloupka’s team, visit www.tobacconomics.org and follow @tobacconomics on Twitter. For more on the Bloomberg Initiative to Reduce Tobacco Use and the other core partners, see https://www.bloomberg.org/program/public-health/tobacco-control/.